His OUN movement went out of control in Podil. 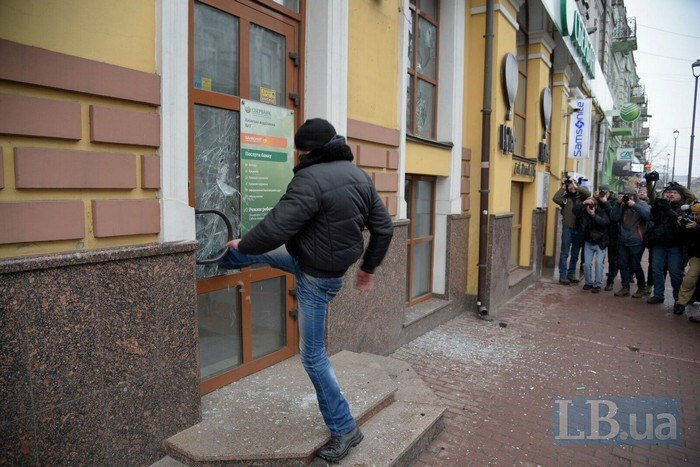 Members of Mykola Kokhanivskyy's OUN Voluntary Movement pelted the Kyiv office of the Russian agency for international cooperation (Rossotrudnichestvo) with stones. 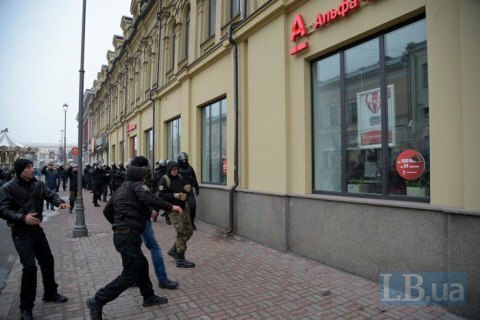 The offices of Russian Sberbank and Alfa Bank, also located in Podil, were also damaged. A day earlier, members of a different far-right group, C14, stormed the office of Rossotrudnichestvo and burnt the Russian flag.